Can I send or share my Digital Card on Twitter or Facebook? Yes! You can share your card on Facebook or Twitter, or use the public URL to share with anyone else. 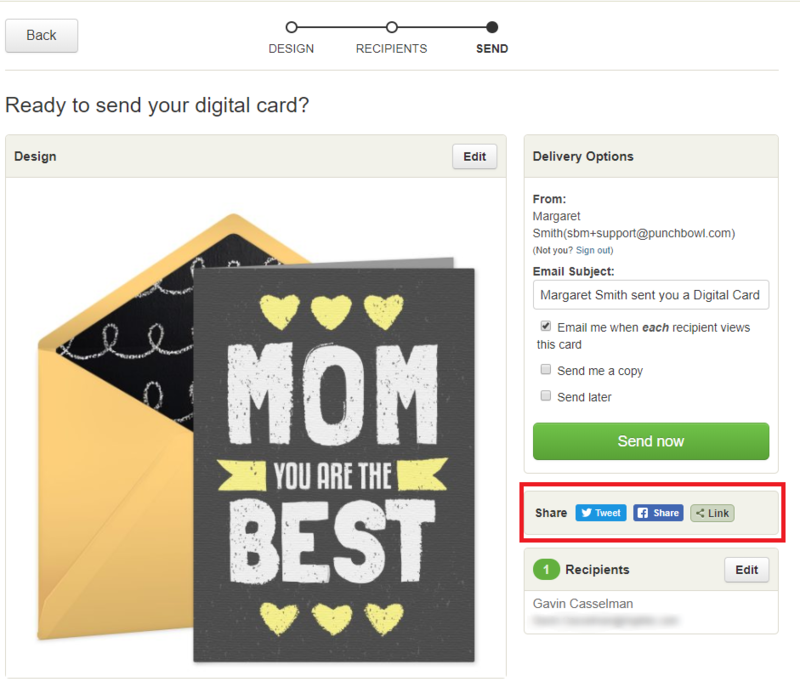 On the Send page, you will see options to share the card through Facebook Share, Twitter, and a Link button that creates a direct URL link to the card. When using Facebook "Share", your digital card is sent as a message directly to your Facebook friend.